Last week Sunday I had the most serendipitous encounter with a fabulous Nutribullet. I have ALWAYS wanted one, so I feel very blessed to have won it! I attended a seminar, and won this beautiful machine as well as two delicious medical food shakes! I made my first simple and easy smoothie this morning. I could not believe how fast this little thing goes. In 30 seconds, I had a delicious smooth drink, ready for the road. I love having smoothies for breakfast. They’re quick, easy and convenient for a busy morning breakfast. Pour into a cup and drink! That’s how easy it is. If you have the opportunity of owning one of these- please do! Invest in your health and your body will thank you. I am a HUGE breakfast fan. Especially because it sets the tone for your eating habits for the rest of the day. Being vegetarian has posed some challenges with eating a healthy breakfast but one can be innovative! I am not a fan of popular breakfast cereals- i.e shredded wheat, popped rice, corn flakes, bran flakes, milled maize/ soya porridges etc. These tend to be overly refined, as well as contain too many preservatives, additives and sugar/ sugar substitutes. Processing a whole grain (eg. rice, wheat, maize or soya) removes most of the natural nutrients, hence little to no nutritional value. My opinion- it’s better to get nutrients from whole foods! Yes- the old fashioned ones. They are large, round and un-cut. Just from looking at different oat brands on the market, you can see rolled oats are a bit different. Rolled oats are pressed flat or rolled with heavy equipment to shorten their total cooking time. Steel cut oats appear rougher. They haven’t been rolled, but they have been chopped with steel blades. Instant oats are more refined (hence the loss of protein and fibre, and the addition of flavourants, sweeteners etc.). In South Africa, you can find rolled oats only at a health shop as local retail stock steel cut or instant oats. They contain soluble and insoluble fibre which keeps you fuller for longer. I cook on the stove top, with water and a tad bit of organic milk (almond or coconut milk), stir in some MCT oil, sometimes raw cacao powder, teaspoon of cinnamon, some raw nuts and about half a cup of diced fruit. This is also a great opportunity to stir in some 100% whey protein powder or hemp seed powder to keep you fuller for longer. As long as they are free range or organic, they will be amazing! An organic egg get’s the label if the chicken was only fed organic food (animal or grain), which means it was not fed grains (mostly Genetically Modified corn) laced with pesticides. 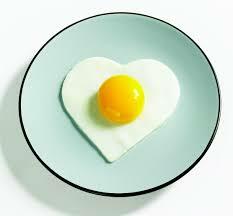 The 90’s idea that eggs are unhealthy and promote heart disease is a outdated myth. Fats from animal sources contain cholesterol, but it is not completely harmful. They are an excellent source of healthy fat and protein, and contain some essential amino acids (tryptophan and tyrosine) that are greatly beneficial to the body. The best way to eat them is either poached, sunny side up or soft-boiled. Scrambling your eggs oxidises the cholesterol in the egg yolk, which may in fact harm your health. Try support local and organic egg farmers, but if you absolutely must purchase your eggs from a commercial grocery store,go for the free-range organic. Pair your eggies with a complex carbohydrate, such as rye toast with butter, or rye crispbread. Veggies are always another great substitute for rye bread. I would recommend two eggs per serving. 1) Always combine one veggie, two fruit, fresh ginger root and a green (such as a spinach leaves, kale leaves, broccoli, cucumber, celery etc.). 3) To get the real health benefit, don’t add sugar, sorbet, ice- cream or honey. It’s not dessert, okay! 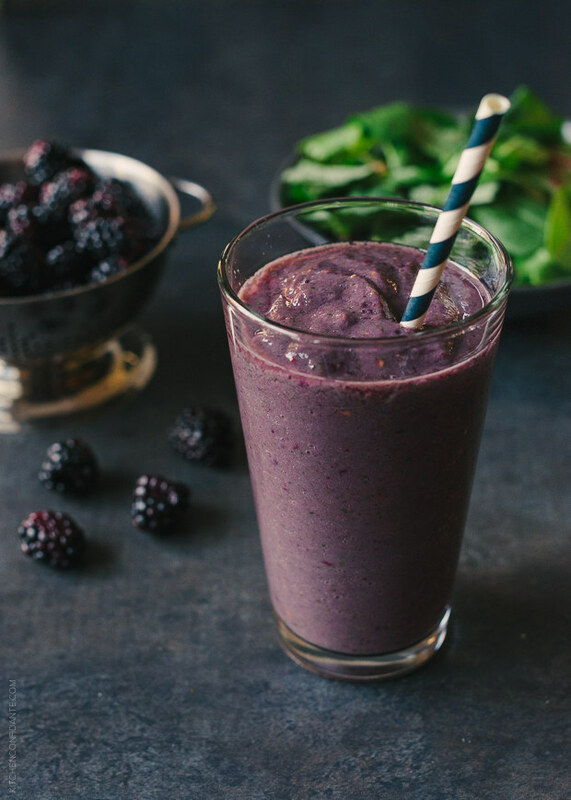 An example of a healthy smoothie: 1 medium sized beetroot, 1 small green apple, 3 tblsp frozen or fresh blueberries, 2cm peeled ginger root, 1 cup baby spinach leaves. It’s also nice to add 4 tblsp of full cream, organic plain yoghurt, or 100 ml Coconut milk/ almond milk or rice milk for a creamy texture. Use water to change consistency. Fats are an essential part of our diet. We have recently discovered the differences between a healthy and an unhealthy fat. Healthy fats play a huge role in helping you manage your moods, keep you satiated, and most importantly- helps you stay on top of your mental game early in the morning. Fats keep you fuller for longer and stabilise blood sugar levels better than carbohydrates. – A tablespoon of nut butter. I like eating this plain or you could have it on a slice of toast. 2) Two soft boiled eggs, one slice of rye toast with fresh tomato and a twist of black pepper. 3) Half a cup of rolled oats, made with water, full cream milk and three tablespoons of vegan cacau protein powder, three tablespoons of desiccated coconut. 4) Two slices of rye toast with cottage cheese, black pepper and chives, and a small fruit (peach, plum, apple etc). 5) Green smoothie (spinach leaves, green apple, ginger root, half a cup of natural greek yoghurt, pinch of cinnamon, water). 6) Half a cup of rolled oats, made with water, full cream milk, sliced banana, and stir in two tablespoons of almond nut butter.